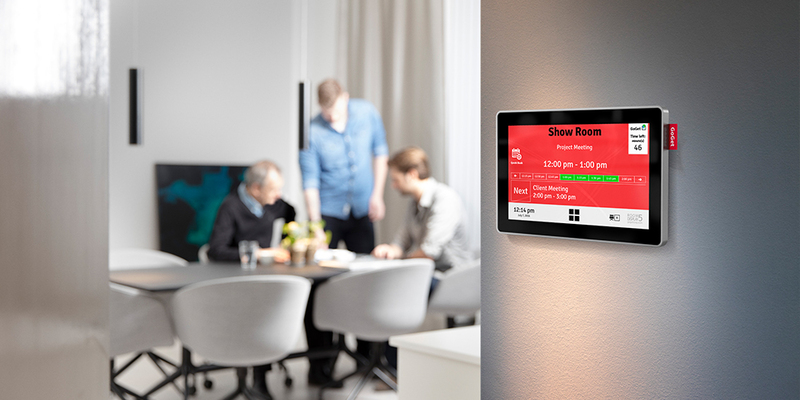 Room Display software can fully sync with Microsoft Exchange, Office 365, Outlook, Google Apps, Kerio Connect & IBM Notes*, giving you and your users the flexibility to reserve rooms from any location and any device—no extra software needed! Unlike many alternatives on the market, Room Display software integrates seamlessly and effortless with most IT-policies. 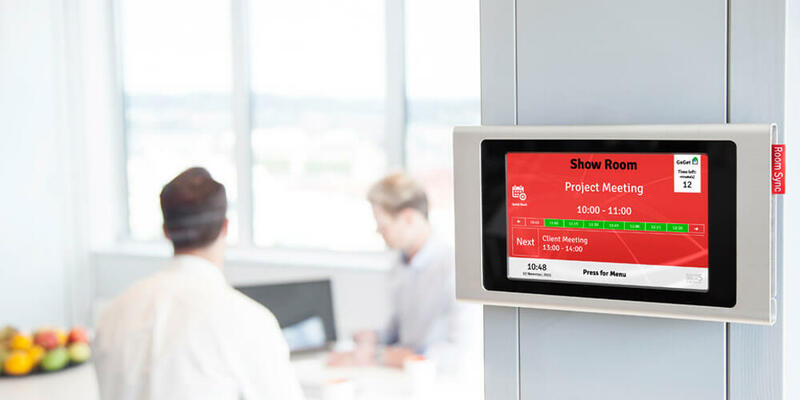 We believe that our customers should have the freedom whether they want to buy a complete meeting room display unit with support, or create their own software/hardware bundles. Our license-only option offers full customer flexibility for those organizations who prefer to configure a tailored solution. 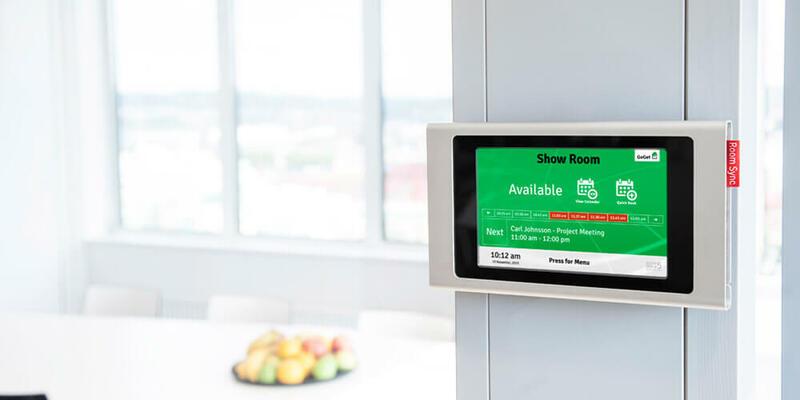 All-new Room Display 5 software contains some smart features that will make your day at the office a little easier. When effective facility utilization matters, Room Display 5 is the right tool to use. Standing outside a fully booked meeting room? No problem. 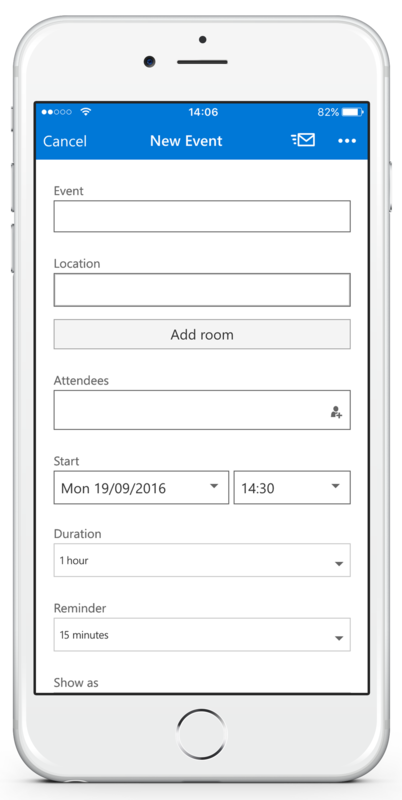 With Room Display 5, you can easily see and manage bookings for other rooms in the office, right at the display. Just press the “Go to Free Rooms” button to load other rooms on the same floor or department. 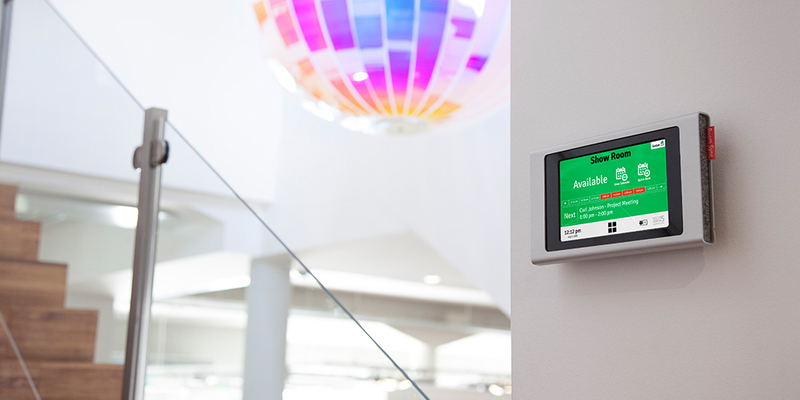 Users can now lock their on-screen reservations by entering a one-time PIN code (OTP). These reservations can only be edited or removed by using the OTP or an administrator password, which is helpful in the fight against those room thieves. The newly designed interactive timeline blends in beautifully on the home screen and provides superb overview of meeting room availability within a close proximity in time. See room specific details like seat numbers and equipment. Send error reports of said equipment or order e.g. catering services right at the display. Room Display 5 is compatible with LED status lights. Enjoy LED status lights with Room Display 5 and supported hardware. Our new smart analytics and reporting functions can help you with room KPIs and decision support so that you can use your resources more wisely. Heat maps enable you to quickly identify when meetings are taking place, analyze peak hours and help you visualize reservation patterns over time. 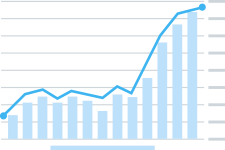 Identify trends and get historical data on number of meetings, average duration, distribution, no-shows and much more. 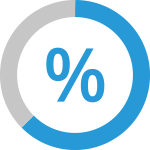 See never before available occupancy rates for the entire organization, break-down KPIs for each individual room, calculate cost per meeting and put a figure on unused office space. 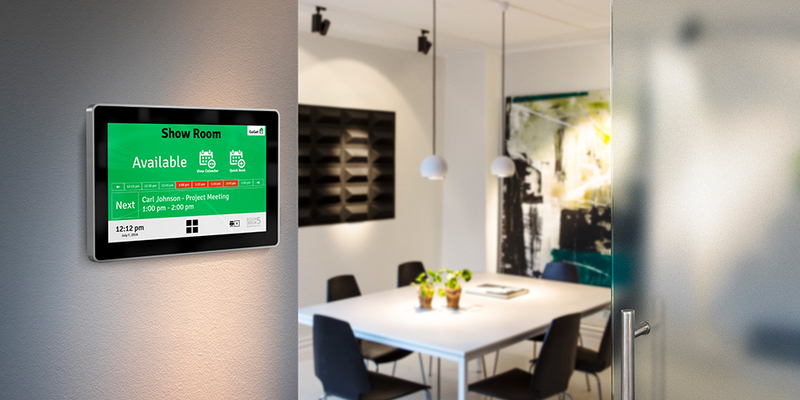 Room Analytics for Room Display 5 software is already integrated into your Room Display Center account and requires no additional installation – as long as your display units are online they will continuously feed data to your Room Analytics dashboard. 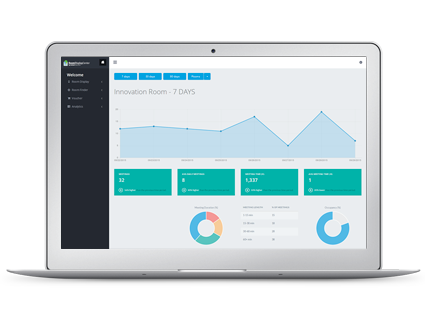 Select the Analytics tab in the navigation to start measuring your office´s room resource activities for analysis of emerging user patterns and to see which rooms are popular or mostly costly for your company. We are continuously improving our Room Analytics function, adding more features and functions. Customize reservation info, background, logo and much more. Creating a professional looking office space has never been easier. 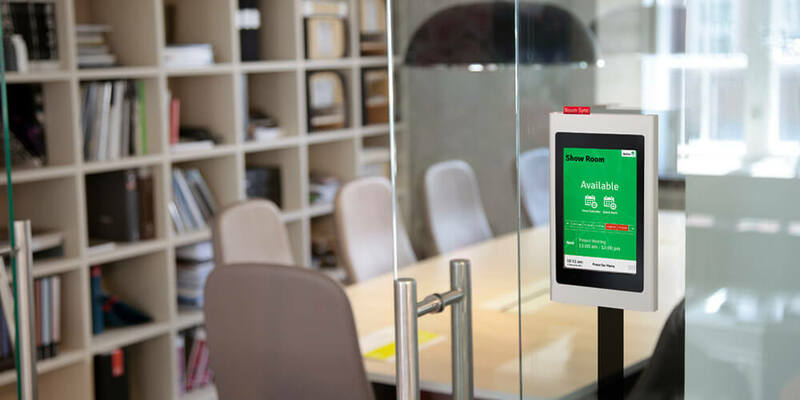 Improve the efficiency of your meeting rooms by enabling reservation check-ins and no-shows cancellation. Lets users book resources on-screen outside the room – for any day and time. A few quick taps is all you need to reserve a room without the need of accessing a computer. Manage all your devices (full remote management) from one location – via the web based administration console Room Display Center. Ideal for small to large organizations. When effective facility utilization matters, Room Display 5 is the right tool to use. Built-in functions can help you with decision support, and reduce no-shows and use time and resources more wisely. Use your existing mail calendar system. 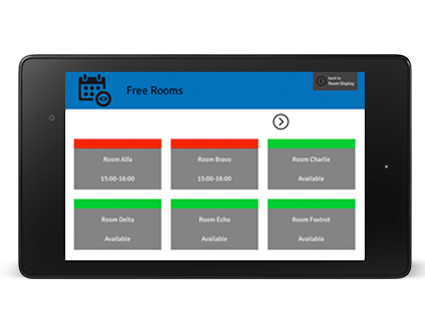 Since no additional server software, add-ins or plug-ins are needed, you can make reservations from any mobile device, on-screen, outside the rooms or via the computer. 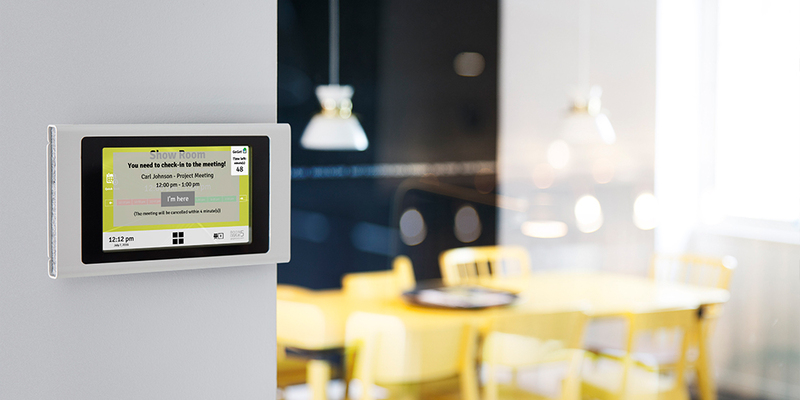 The devices communicate calendar data directly with the calendar source. 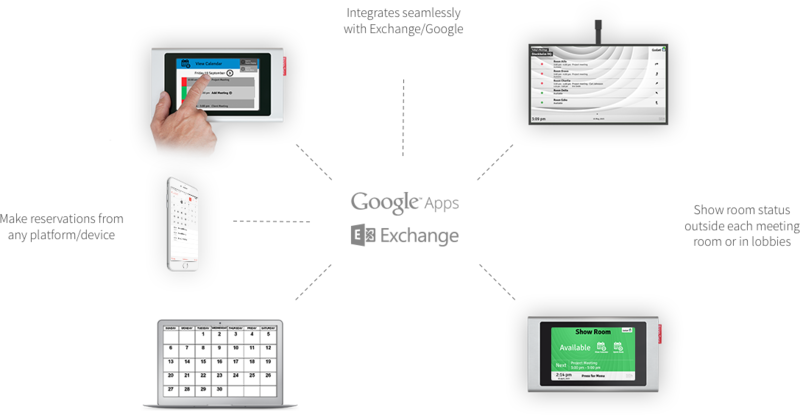 The Room Display software benefits from running on the world’s most used OS platform – Android. (4.0-). 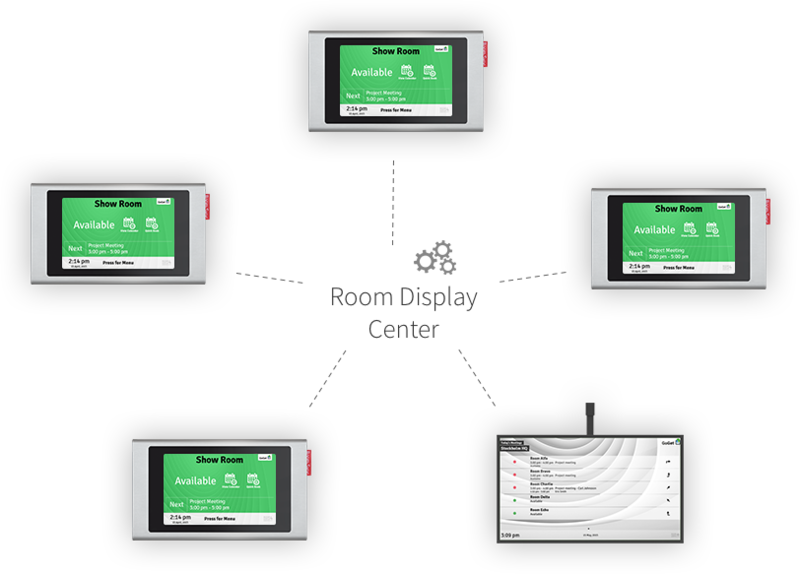 Room Display Center is a fully centralized remote administration console (secure cloud or on-prem) that manages the settings of all your displays. Unlike other alternatives on the market, our solution walks the talk when it comes to full remote management - hence there is no need to configure individual units with time-consuming processes involving USB-drives, emails or XML files. The actual calendar data goes directly to the calendar system - not through the Room Display Center. If IT policies require, Exchange can be run with selected local configuration. Go to Room Display Center. Room Display 5 works seamlessly with Microsoft Outlook on your computer as well as your smart phone – without annoying add-ins, plug-ins or additional server software. Create events, invite contacts and add a room just like you are accustomed to from Outlook – wherever you are. 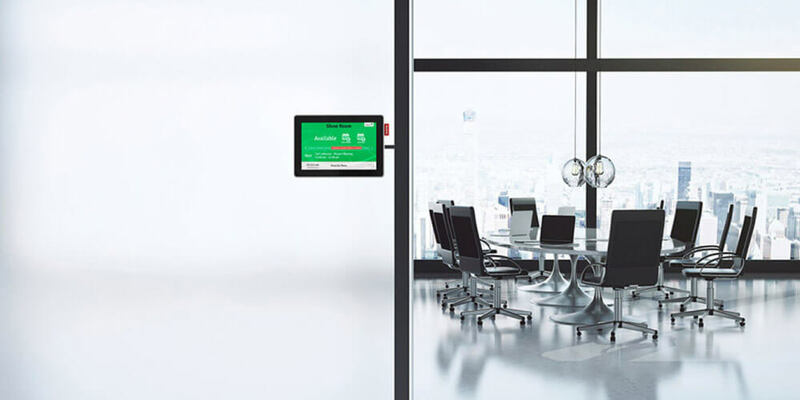 It all syncs automatically and directly to the meeting room displays running the Room Display 5 software. Read more about setting up Room Display 5 with Outlook for mobile phones here. *Contact Goget’s sales team for further details.